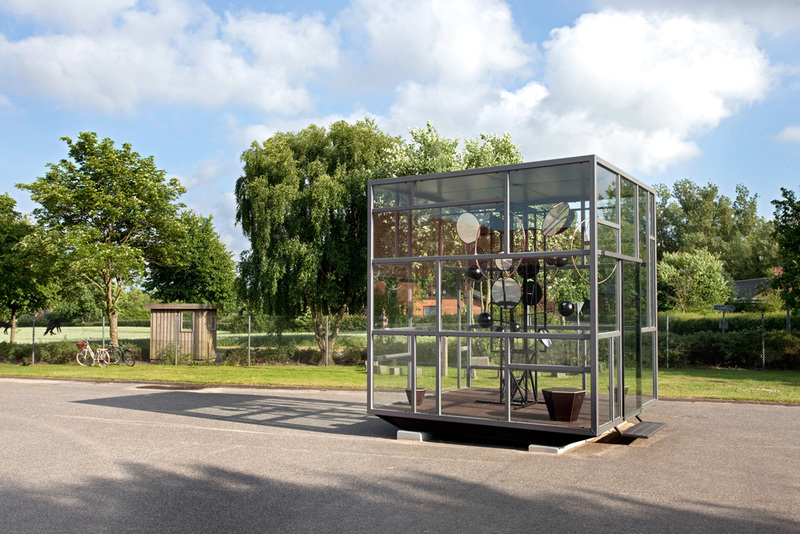 56°25’59” N 8°46’35” Ø 52 M OVER HAVET is a permanent installation created for Margrethe Reedtz Skolen in Ryde, Denmark in collaboration with sculptor Jørgen Carlo Larsen. 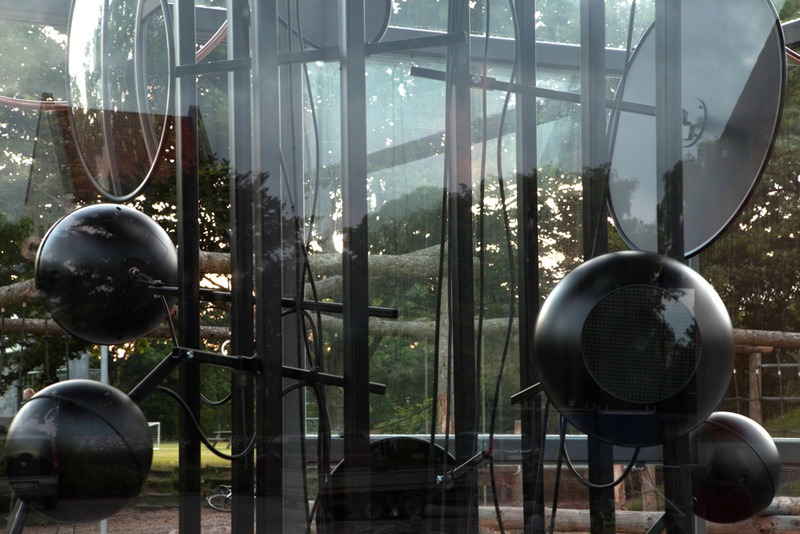 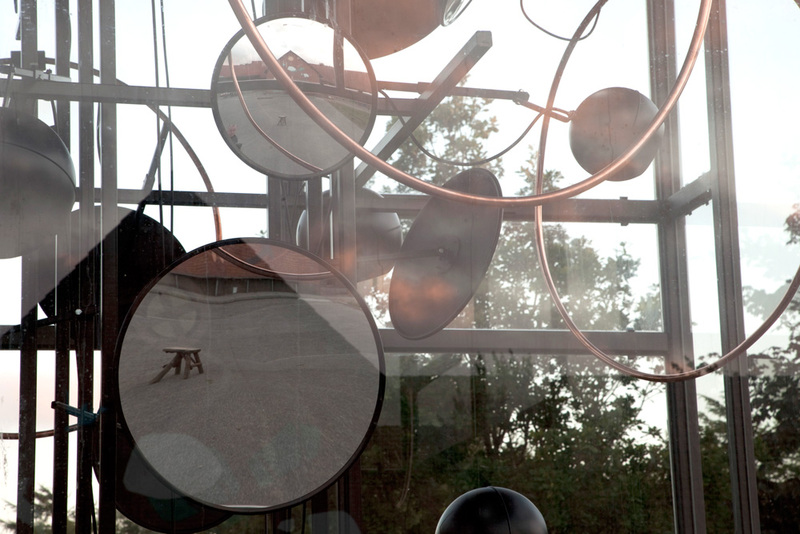 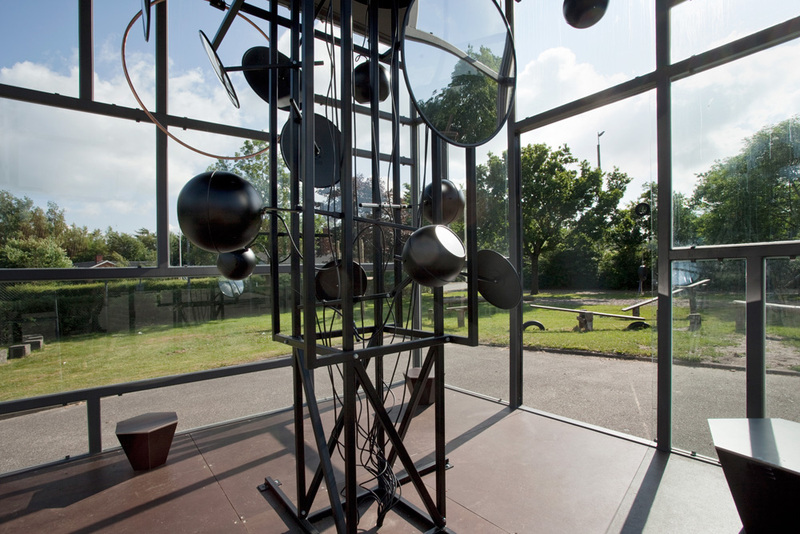 The site-specific installation unfolds as a cube of glass and steel that houses mirrors, loudspeakers and antennas mounted on a laboratory stand-like sculpture. 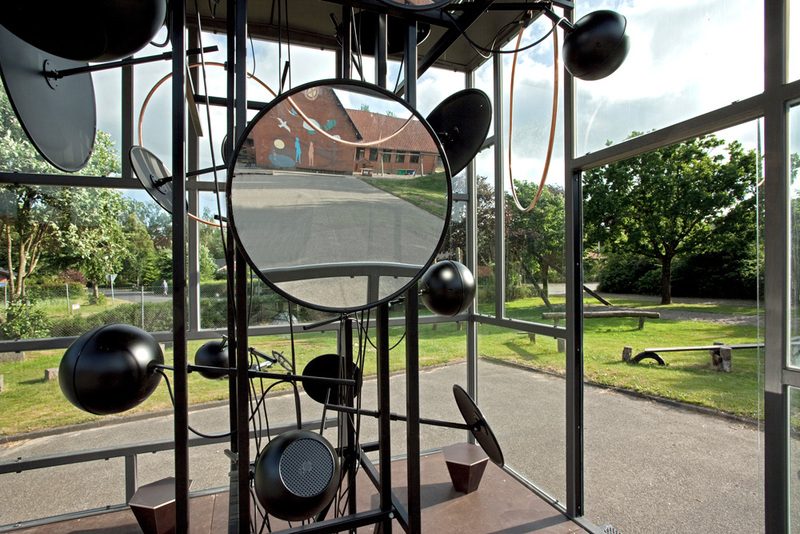 Sounds of the earth's natural radio signals found in the ionosphere, 90 km above ground surface (VLF radio waves), are picked up by the antennas and created into a ever-changing soundscape, mingling with visual reflections caused by the sculpture's many extroverted mirrors. 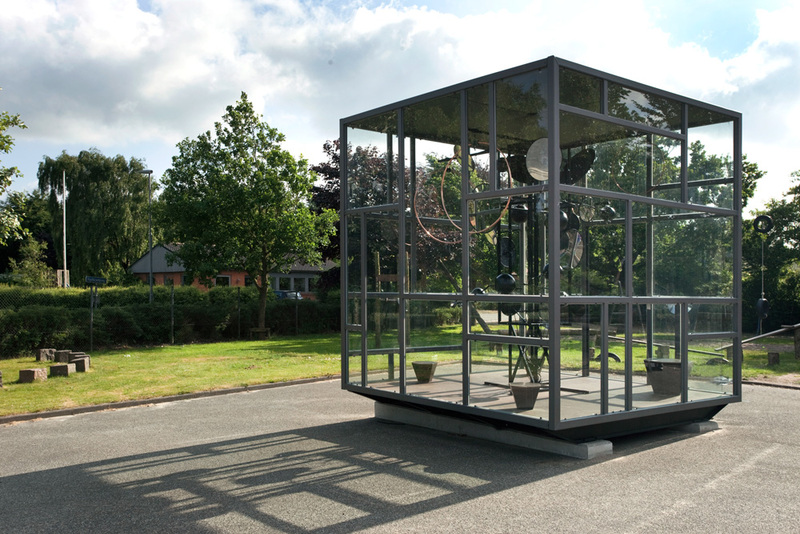 Through a corps of key guardian ambassadors in the local community, it is possible to enter the cube, and let your mind drift out into the upper atmosphere of the planet and the immediate mirroring of the face of Ryde, as the work invites us into a space of thoughtfulness - scientific as well as epistemological. 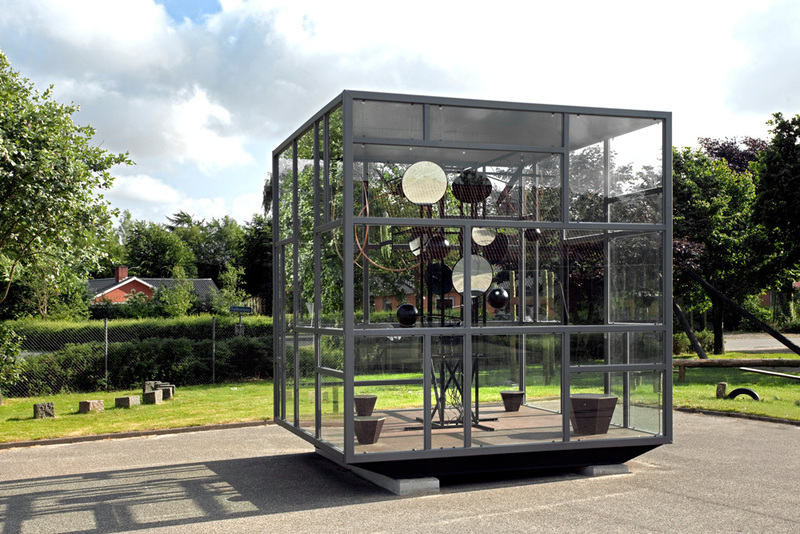 56°25’59” N 8°46’35” Ø 52 M OVER HAVET was inaugurated June 24.2016 and donated by the Danish Arts Foundation.